Over the years, many questions have been raised concerning the effects of video games on children. Although video games are both entertaining and relaxing, parents and teachers need to be fully aware that they do affect children’s development, positively and sometimes, negatively. The fast-paced nature of most video games requires players to make numerous quick decisions within small intervals. This enhances children’s decision-making skills which can help them in other areas in their lives. Sports and school are examples where improved decision making can definitely help. Playing a video game requires you to have good coordination between your hands and eyes. That means controlling motor functions without necessarily looking. Once children are able to master this, they can apply the skills in different sports as well as in problem-solving. Although being able to make quick decisions is not a bad thing, those decisions can only be useful if they are the right ones. 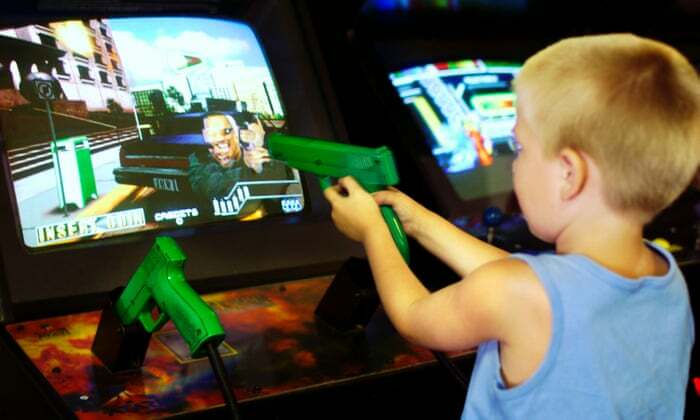 With video games, children can learn to read situations quickly and make split-second decisions in quick succession. These days, you will find many games that allow multiple players to be involved. That means that different children can come together to make decisions that are geared towards achieving the same objective. This helps those children to develop team skills that are beneficial in countless ways. When you practice a certain skill over a long period, your brain will respond by creating transmitters and neural pathways to optimize its overall functions. The high concentration required to play a game can help a child’s brain to mold itself to be better placed to solve problems much faster. There are hundreds of Nintendo Switch games that can help expand on cognitive thinking in young children, thanks to the popularity of the hybrid console. 2018 saw impressive sales numbers of the Switch and 2019 is expected to be no different. The fact that a child has to be fully focused on the game when playing means that video games can help children improve their concentration levels. This heightened concentration can help them in their school work and other areas of their lives. Even though there are games that require kids to play in groups, more often than not, they will end up playing alone in their rooms. This can severely limit their interpersonal and social skills. Children who indulge in video games for long hours without engaging in any physical activities can end up developing a number of health issues. Obesity and weak muscles and joints are just some problems associated with playing video games for too long. Some video games have content that may not be appropriate for children. Whether it’s too much violence, profanity or sexually explicit pictures, they can end up emulating some of the behavior portrayed in those games. If you want to allow your children to play video games, you need to take the time to check what type of games they are playing and the amount of time they are spending playing. As long as it is appropriate content and they have time for other activities as well, games can definitely be beneficial to them.